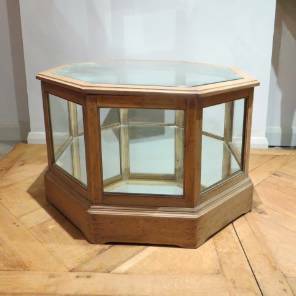 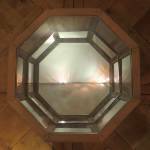 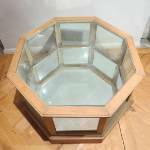 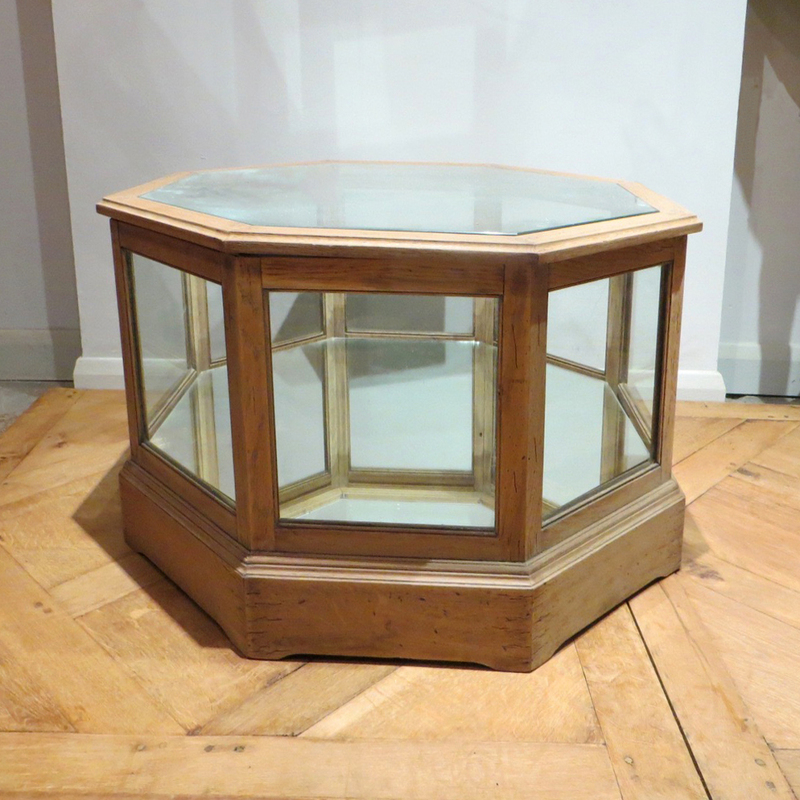 A French Hexagonal Coffee table. 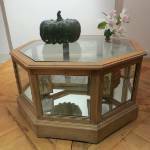 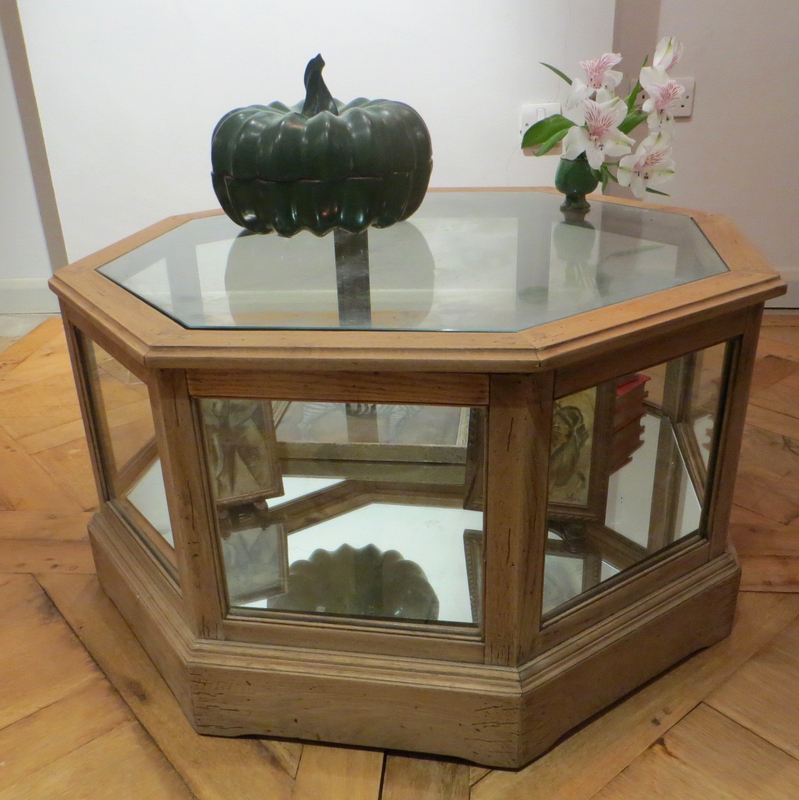 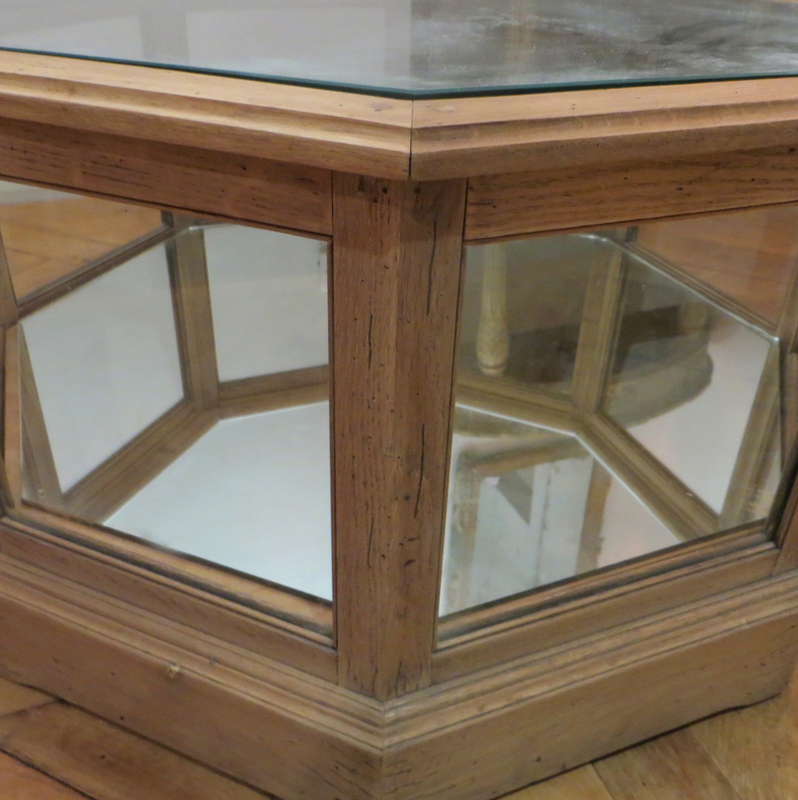 Oak, glass and mirrored base. 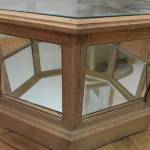 The top lifts up so you can display objects inside & out.